Y’all will not believe how easy this was! The fact that it cooks in the slow cooker is such a bonus, too, because what’s better than coming home to supper already done? How easy was that? This is great with green beans! Looks good!! I wish I had a crock pot full of that for lunch today. YUM! I just put some chicken breasts in the crock pot right before I got your e-mail, I will try this one next week! This is going in my crock pot tomorrow and I can’t wait! I wish i had that for lunch today…. 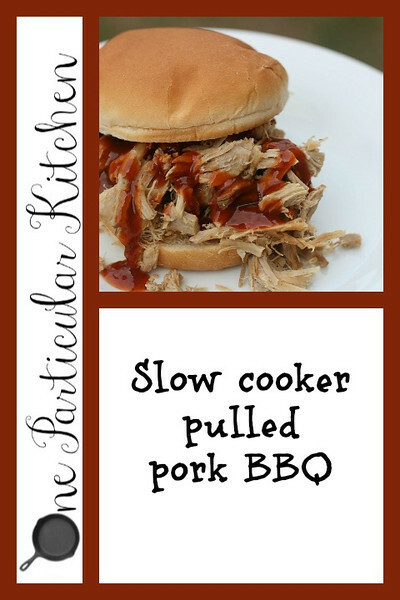 I was looking for a pulled pork recipe for tomorrow’s dinner and here it is! I’ll be serving mine with JoJo potatoes and some vinegar-y slaw. Yum! Makes my mouth water just thinking about it! How ’bout some apple juice or cider to that water? And a couple onions?